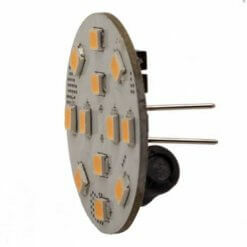 G4 LED bulbs in Side Pin, Back Pin and Tower styles to replace Bi-pin G4 Halogen capsule bulbs. 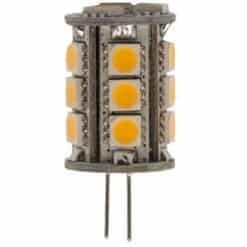 Bedazzled has the largest selection of Protected LED G4 bulbs all of which feature our innovative ‘protection’ circuit for reliability, peace of mind and safety. Boats and Yachts in particular require a higher level of tolerance to electrical disturbances found in the marine environment. 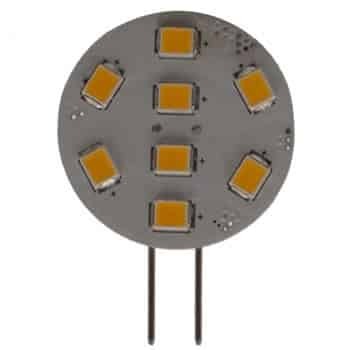 The G4 LED range can be used on 12 volt or 24 volt systems and tolerate charging voltages, voltage spikes and surges, can be connected to either polarity whilst consuming a fraction of the power of the Halogen original. They are available in Warm White or Cool White and in some versions in Red, Green or Blue! Night Vision versions are available for Bridge and Chart rooms which initially shine Red to preserve night sight but can be switched to brighter White light using the existing light switch. 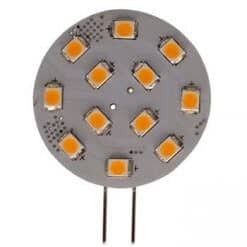 Many boat lamps and light fittings use Halogen G4 bulbs sometimes with the bulb sideways (known in LED bulb speak as Side Pin or Horizontal) or pointing in the same direction as the light output (known as Back Pin or Vertical). 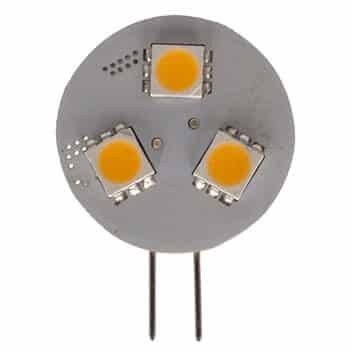 Less common on boats are the table lamp fittings or wall lights which need light shining in all directions - this is the specific purpose of LED G4 Tower bulbs that shine through 360 degrees.